Follow this on Facebook, at: https://www.facebook.com/pages/25-Pockets- of/428010350642106?ref=profile . 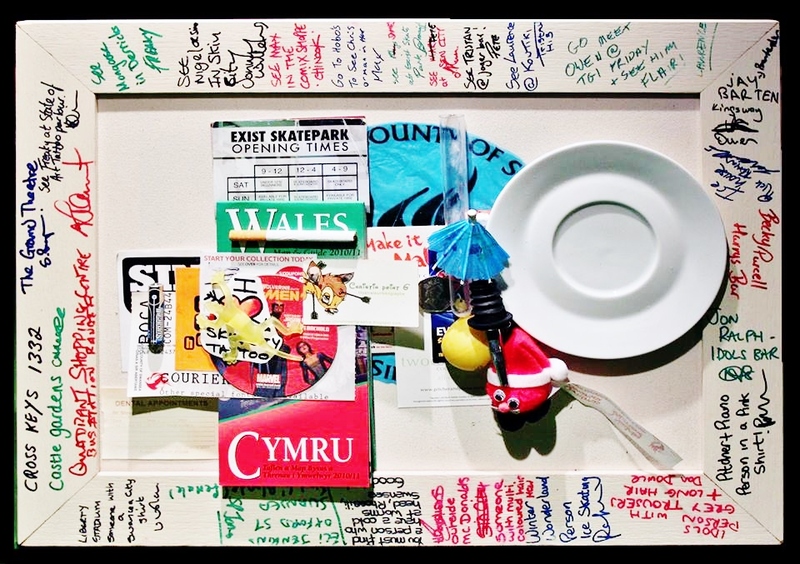 Pockets of [Swansea ] is a social assemblage montage, randomly and collaboratively generated through gifts and referrals. Gez (my housemate in Swansea) told me to begin my journey at the Bank Statement Wetherspoons on Wind Street and told me to approach an old man in a leather jacket with greyish hair.